Construction on US Highway 54 (Pancake Ave) at the Clay Street intersection is scheduled to begin on Monday March 5th. Clay Street will be completely closed off at the intersection and traffic on Clay Street will NOT be allowed to cross Pancake Ave. Pancake Avenue will remain open during construction, but will be reduced to 2 lanes of traffic through constuction. 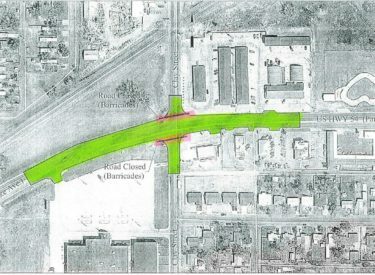 Access on the North and South sides of the intersection will be available with minimal disturbance throughout construction. Businesses along Pancake Avenue will have different access points throughout construction. Construction is tentatively scheduled to be complete by July 24th, depending on weather. For questions or more information contact Gary Geist with Earles Engineering & Inspection at 620-629-6041 or Greg Adams with KDOT at 620-629-5797 or 620-624-4451.